The station's own lifeboat was away for servicing. A relief vessel, Lord Salton, was standing ready instead. 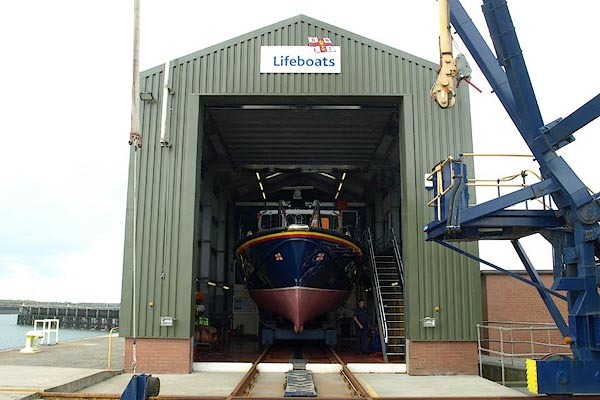 The launch is made by a crane; the boat is run out from the shed on a cradle, listed by the crane which then moves to the quayside and lowers the boat. The duty staff were very hospitable, allowing us to take many pictures. Rescues are recorded on a series of boards, which also record the lifeboats on station. The series of photos is cut short; sorry. 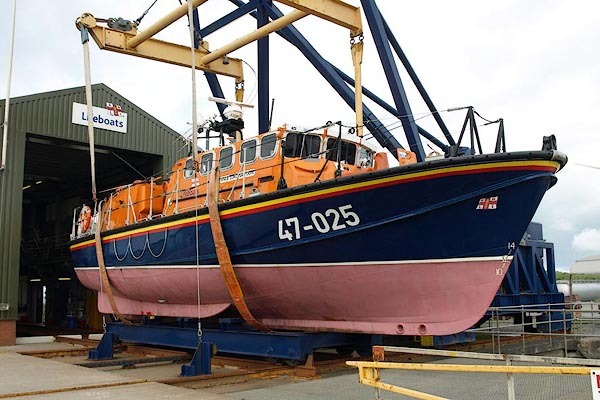 There have been various lifeboats on relief duty, and an inshore D-class bota.